Fluxhouse™ and Khrushchyovka - George Maciunas Foundation Inc.
Named after the post-Stalinist regime of Nikita Krushchev, the Soviet Block Housing System or Khrushchyovka, was designed by engineer Vitaly Lagutenko to be rapidly deployed as a low cost solution to a severe housing shortage from 1947 to 1961. Based on a paneled design, Khrushchyovkas utilized concrete plants in which most of the construction occurred in the factory and trucked to be assembled at site. As traditional masonry was labor-intensive and individual projects were not scalable to the needs of overcrowded cities, the Khrushchyovka was an early attempt at mass-produced industrial construction with 64,000 five-story buildings produced throughout the Soviet Union. 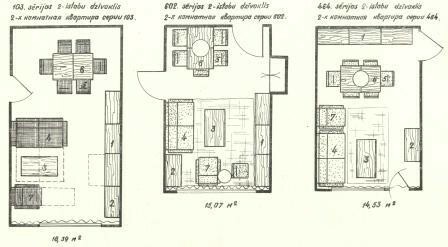 Regarded as “the very symbol of sub-standard living, the lowly krushchyovka” has been ridiculed for its cramped living space consisting of 300 square feet per unit. In the initial stages of this absurdly space saving design, theorists considered combining the toilet bowl functions with the shower’s sink –luckily, this idea was later discarded. 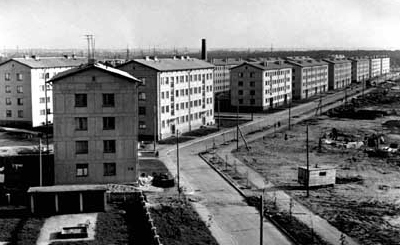 Though concise, the Khrushchyovka was not pragmatic as a design unable to meet standards of livability even for its 25-year design lifetime as a disposable home. 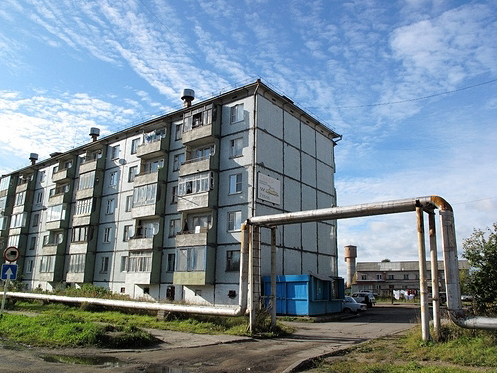 The standard five-story blocks of Khrushchyovkas have also been criticized for their unattractive appearance as well as their unsustainability. 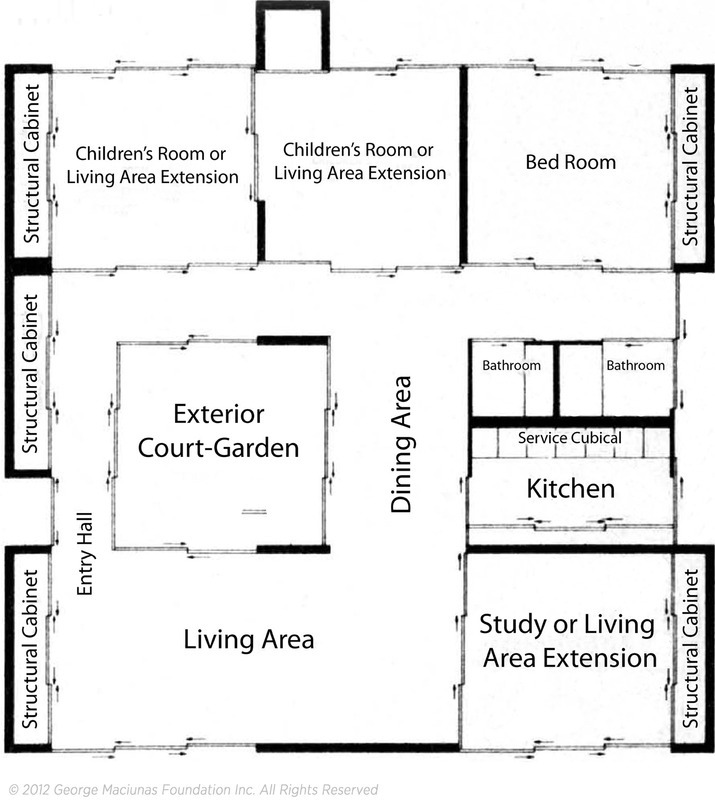 Though a select number have undergone renovation, costs for doing so are greater than the cost of new construction. Scattered throughout the Eastern bloc, these dilapidated buildings are an unpleasant reminder to the communities who reside in them of an inadequate and ironically, totally inefficient housing system. In his comparison of the Soviet Prefabricated Building System with Fluxhouse, Maciunas states “efficiency is giving the most performance for the least cost.” Copyrighted in 1965, Maciunas based Fluxhouse on an innovative modular framework as a prefabricated design. 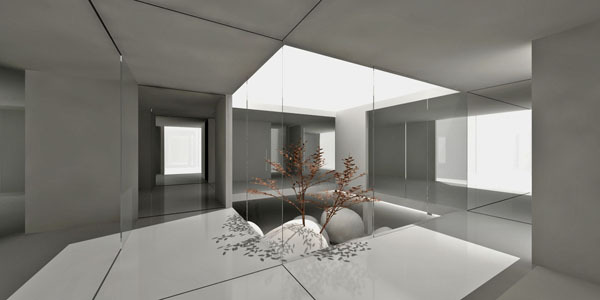 The flexible nature of this design allows developers to construct buildings of any size and shape by multiplying units. The 1900-square-foot unit includes several bedrooms and living rooms, space saving structural cabinets, and an off-center zen courtyard. Combining the high-volume/low-cost advantages of standardization with an adaptable manufacturing process, the Fluxhouse unit to customizable to any live-work function. In “An Assessment Report”, Think LLC architects write that conventional construction processes create the conditions of an open-air factory with workers, machines, and tools brought onsite each day. Though this methodology inefficient, labor intensive, and impractical, it is widely used on construction sites around the world. Prefabrication reduces the amount of onsite work as construction occurs during factory production. Maciunas designed his modular system with the greatest percentage of off-site fabrication, thus permitting the use of unskilled workers and conserving labor overall. Maciunas considered the sustainability of natural resources by choosing abundantly available materials and minimizing their use in a concise design. His choice of lightweight materials lends to ease of transportation and a conservative use of machinery. Though Maciunas states that Fluxhouse would have cost around an extra dollar per square foot than the Khrushchyovka, his system would have offput much of those costs during construction in the use of unskilled workers, less material, and ease of transportation. The large rooms in Fluxhouse were designed to be easily customized to residential, institutional, industrial, and agricultural functions. His use of fiberglass reinforced plastic, a weather resistant material used in aircraft building, would lend a sleek finish with a smooth, richly colored surface. An abundance of natural sunlight would be provided by the wall-height windows on every wall and by the off-center zen courtyard. With these various elements, Maciunas considered a high standard of living as a necessity to social welfare. Rather than reducing costs by reducing space, Maciunas resolved the issue of cost efficiency with an innovative manufacturing process and sustainable use of resources.